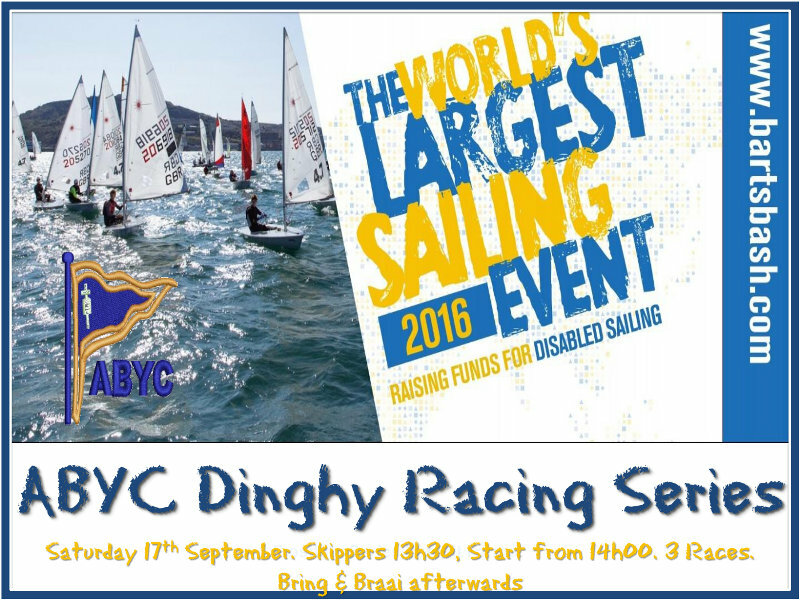 Support disabled sailing by coming to ABYC and taking part in the annual Barts Bash which is the World’s Largest Sailing Event. The Dinghy fleet will be celebrating Barts Bash with three races on Saturday 17 September. Followed by a Bring and Braai afterwards.